The spiritual successor of Google Cardboard; Daydream, focuses on high-end mobile virtual reality. 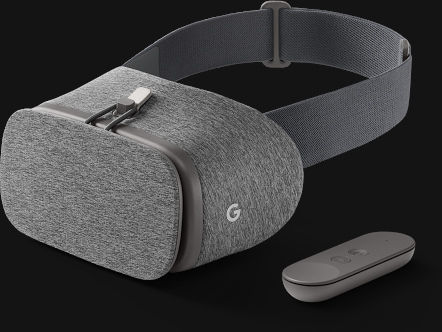 The headset, named Daydream View, breathes comfort and comes bundled with the Daydream controller. Only works with so-called Daydream-ready Android phones, built for VR with high-resolution displays, powerful graphics and high-fidelity sensors. Daydream is Google’s new upcoming VR platform (Fall 2016) for high quality mobile virtual reality. The main differentiator of Daydream is not necessarily its pajama-like, lounge wear design, but rather the inclusion of the Daydream controller. 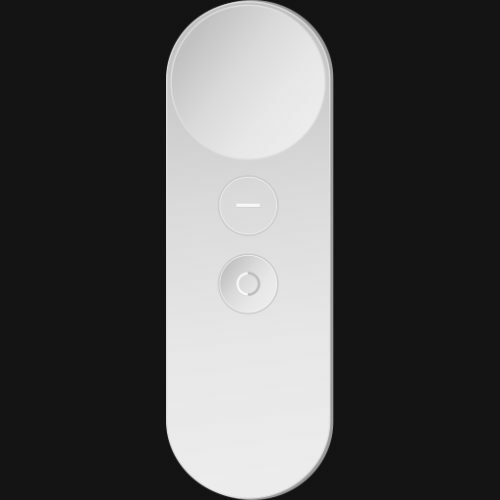 It’s a gesture controller, comparable to Nintendo’s WiiMote, but much more simple. It allows for motion and movement tracking and volume control. And because it comes bundled with every headset, it guarantees a baseline input method for the platform. Every Daydream viewer comes bundled with a 3 degrees of freedom gesture controller, allowing for very interesting forms of interaction. The gesture controller works especially well as a handheld tool or instrument in VR. Want your VR experience on Daydream?